The signature ‘Seabourn Difference’ is why so many people choose this luxury cruise line time and time again. Beginning with the intimate ships with no more than 300 suites, you can experience unique itineraries as they slip into obscure and remote ports of call, which so many of the larger vessels cannot reach. Next is the incredible personalised service which is inevitable on any ship in the fleet. The crew truly make an effort to ensure each guest enjoys their holiday to the fullest and tipping is neither required nor expected. The spacious, all-suite accommodations with sweeping ocean views are all part of the on-board experience and complimentary gourmet dining with free-flowing wine only adds to the experience. The fleet consists of Seabourn Odyssey, Seabourn Sojourn, Seabourn Quest, Seabourn Encore and Seabourn Ovation. Each features modern design elements and innovations in keeping with Seabourn's reputation for understated elegance. Offering a uniquely personal feel and a thoroughly relaxed ambience, they are the perfect vessels in which to explore the world's oceans in utmost luxury and sophistication. What is the Seabourn difference? 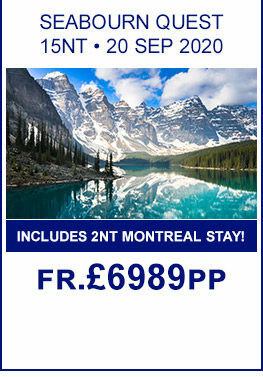 Includes 2nt Stay In Rome! 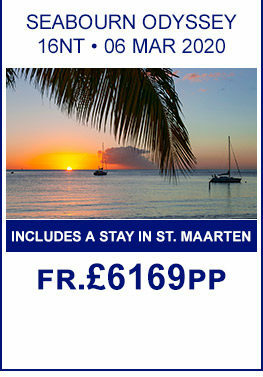 , Six Star Luxury Inclusive Cruising , All Flights and Transfers Included! , FREE 2nt Barcelona Stay! 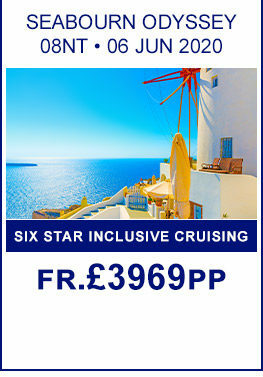 Six Star Luxury Inclusive Cruising , Includes a 2 night Free Stay in Vancouver , All Flights and Transfers Included! All Inclusive Cruise! 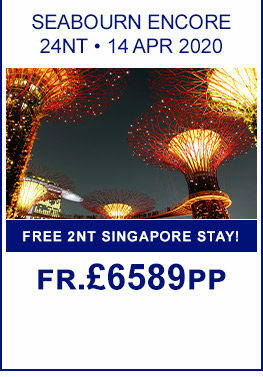 , Includes 2 Night Sydney Stay! Watch our video and see what Seabourn Cruises has to offer!